When you are in the market for a new or used car in Puyallup, your shopping is made easier with the extensive range of choices the Olympia Auto Mall has to offer. At the Olympia Auto Mall, we ensure that each and every pre-owned vehicle on our floor has undergone thorough testing, to ensure that it is in the best possible condition. 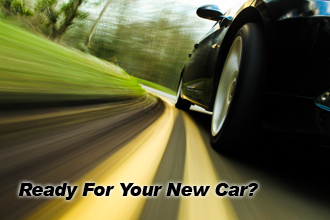 We offer the finest selection of vehicles the Washington area has to offer. We firmly believe in that offering you reasonable rates for your trade-ins and great specials throughout the year, we cater to a variety of budgets also. You will not find a better selection of vehicles or better service for your car, truck, or SUV anywhere in Puyallup area. At the Olympia Auto Mall we offer all the leading brands, and will help you find the right make, model, and options for your family. You can search for new inventory and used inventory for sale in Puyallup via our website's convenient search feature or you can pay a visit to our dealerships and experience our superior service and selection first hand. Our friendly and knowledgeable sales consultants are here to help you find just the right new or used car for you and your family. At Olympia Auto Mall, our aim is to make finding and buying a used or new car, simple and rewarding. We welcome you to contact us to find out more about our range of vehicles and to discover just how our Puyallup area dealership can assist you.